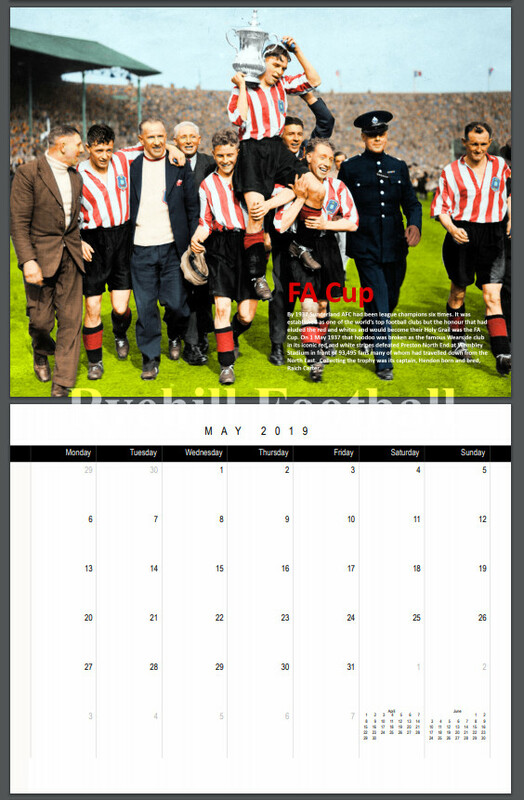 Examples of a sample of the months, including the front cover are displayed on this page. 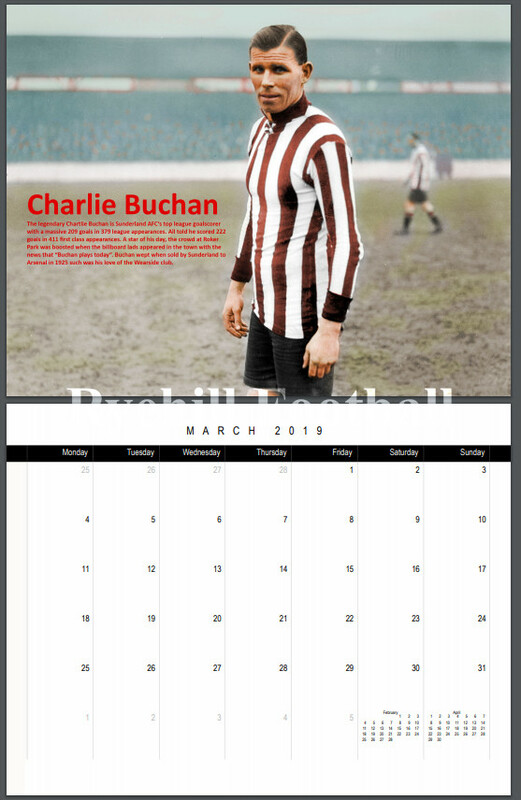 It would look superb on your wall at work or at home. 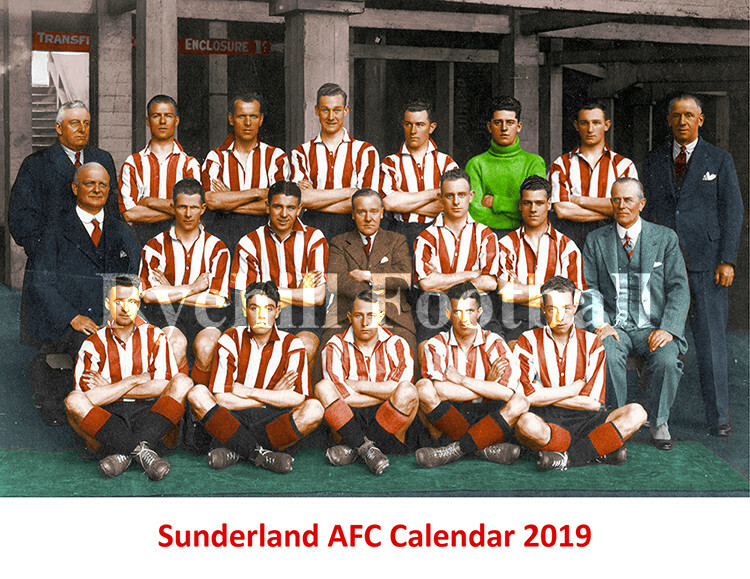 Remind yourself of those important dates during 2019 whilst reliving some Sunderland AFC and football nostalgia. 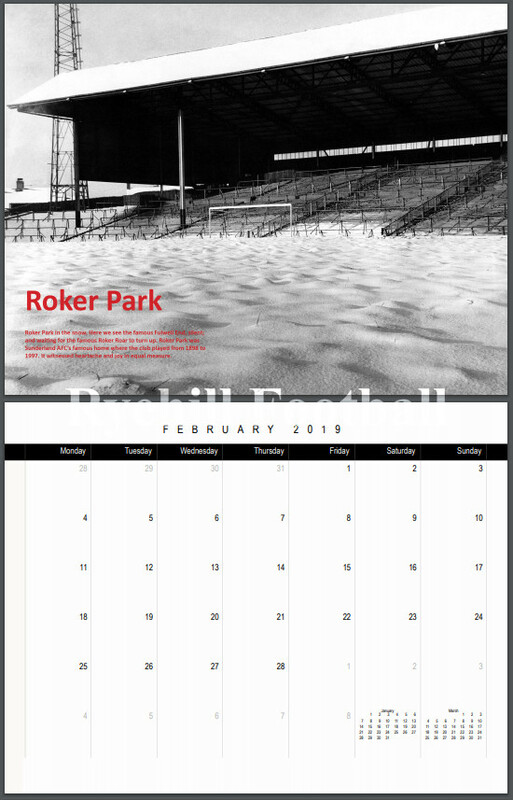 An excellent Xmas or birthday gift for the SAFC fan in your life; as well as yourself! 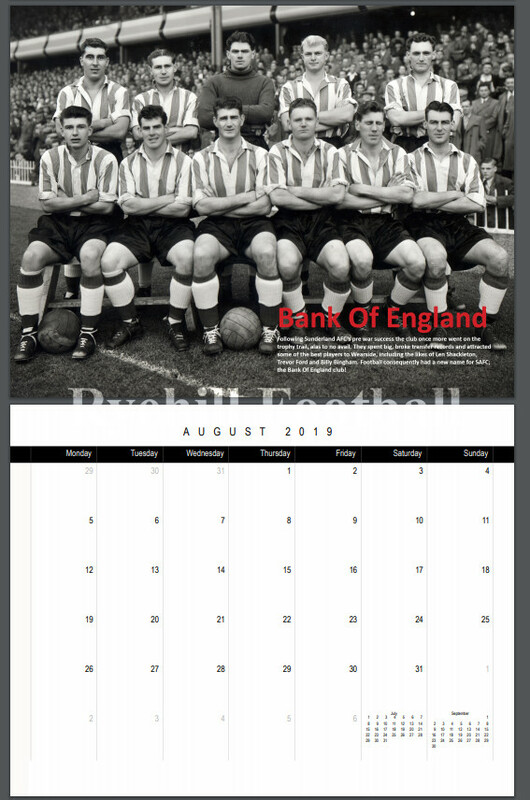 The price is £19.99; free postage and can be purchased via the link at the foot of this page. 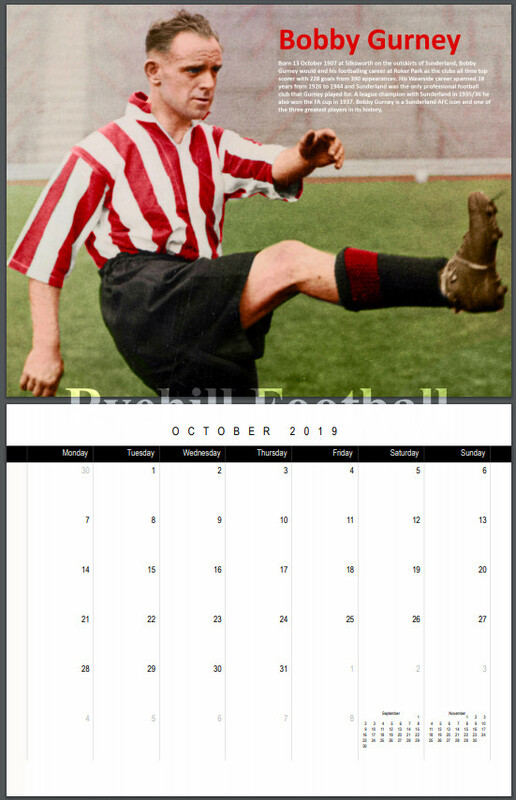 Contact foundingfathers@ryehillfootball.co.uk for further details.